Choosing the right software stack for your collaboration or network is essential. Get it right, and the tools will drastically increase your ability to share information and work together effectively. Get it wrong, and you’ll be kicking yourself down the road as you struggle with bugs, glitches, and tech frustrations. With so many options available it can be difficult to know which collaborative software tools are the best fit for you and your team. And because switching costs are so high, landing on the right tech platform from the start is a huge decision. To help you make this important decision, we took the time to review each of the top collaborative tools out there — so that you don’t have to. Click here to view a summary table, and read on for our full recommendations. We tried out the top recommended applications for each of seven primary collaborative use cases — including messaging, audio & video conferencing, document creation, file sharing, project management, scheduling, and network mapping — and scored them against a set of criteria — including overall effectiveness, ease of use, group size flexibility, cost, mobile integration, and email integration — to determine our recommended collaborative software stack. Slack is simply the best messaging software available today, with a simple interface, a great mobile app, and the flexibility to expand as your collaboration grows. 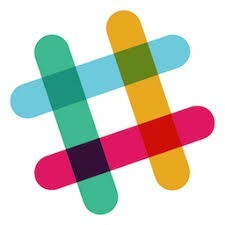 Slack’s default settings cause frequent notifications, but it’s easy to receive notifications for only the channels you choose, only when you’re mentioned, and/or only on your desktop or your mobile device. We’ve used Slack in groups as small as 5 and as large as 1300, and it works well for organizations and networks alike. Once you get the hang of it, Slack will reduce unnecessary email load and keep related messages organized and archived all in one place. Slack is free for most use-cases, with upgraded plans available. Twist is a promising tool that mirrors Slack but with a more intuitive “thread” system within channels, and more customization options for notifications, which is a big plus. However, Twist is fairly new, which means its mobile app is still working out the bugs. And because Slack is far more popular and ubiquitous, there are fewer switching costs — it’s much easier for people to join a new team on Slack than it is to learn and use a new tool in Twist. Still, Twist is certainly worth checking out, particularly if notifications give you headaches. Our other runner up messaging software is Azendoo. Azendoo pairs an effective messaging platform, like Slack, with a simple task management system (like a more simple version of Asana — see below). It is a good option for groups who want to combine their messaging and project management system into one. Zoom is the most simple, and most reliable, audio and video conference software that we have tried. Whereas WebEx is unnecessarily complex, Zoom is a breeze to setup and use. 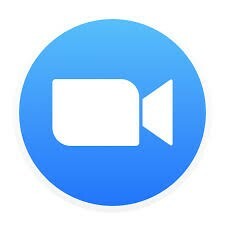 Other than the host, participants are not required to have a Zoom account to join a call. And unlike our experiences with Skype and Google Hangouts, we almost never experience dropped calls, and audio & video quality tends to be quite high. To seal the deal, Zoom is also affordable. It’s free for up to 40m calls and 100 participants, and $15/month for unlimited-length calls and up to 100 participants. Upgrades allow you to include up to 500 participants on a single call. For comparison, neither WebEx and GoToMeeting have a free option, and are $19/month for up to 8 participants and 10 participants respectively. In a test between Google Docs/ Google Sheets, Word Online/ Excel Online, and Pages (Apple’s iCloud-based document software), we found Google Docs/ Google Sheets to be most easiest collaborative document creation software to learn and use. However, Google Docs and Google Sheets are both far from perfect. For one, Google Docs’ editing feature, “suggestions,” could be better, and Google Sheets isn’t quite as powerful as Excel Online. Moreover, Word Online/ Excel Online integrates better with Microsoft Word and Microsoft Excel documents, so there were fewer formatting issues when we transferred documents from Word or Excel to the online software. If you use Microsoft’s OneDrive and tend to work primarily from shared Word and Excel files, go with Word Online/ Excel Online. However, if you use Google Drive, our preferred file sharing system, Google Docs/ Google Sheets gets the job done. 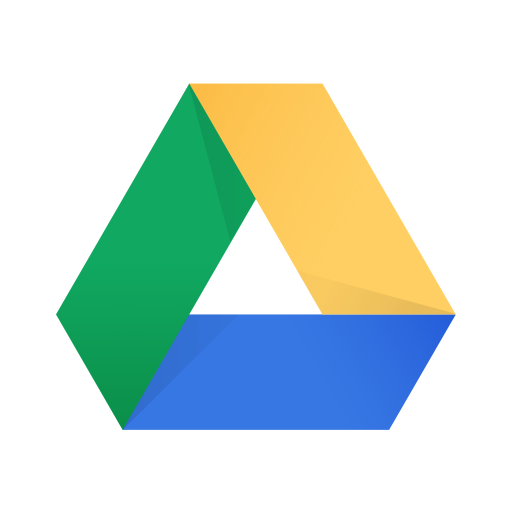 Compared to its competitors, Google Drive provides the best bang for the buck, offering 15GB of free storage (compared to 10GB for Box, 5BG for OneDrive, 2GB for Dropbox, and no free option for Amazon Cloud Drive), and 100GB of storage for $2/month. Syncing files among multiple users is easy, and setting permissions is a straightforward process. If you tend to use Microsoft products and plan to use Word Online/ Excel Online, go with OneDrive. Otherwise, take advantage of Google Drive’s generous amount of free space. Runners-Up: Trello, Bitrix24. Other Tools Reviewed: Podio, Basecamp. Both Asana and Trello are quality products that are simple to learn and use, and excel at organizing tasks and projects. However, they have slightly different use-cases. Asana tends to be better for larger, more complex projects with longer timelines and more details to capture. Meanwhile, Trello is intuitive and easy to use, but its feature set doesn’t lend itself well to more complex projects. Its kanban-style project board is especially well-suited to software development projects and personal or team to-do lists. Meanwhile, Bitrix24, Basecamp, and Podio all have a richer feature set than either Asana or Trello. Bitrix24 is an incredibly feature-loaded platform that can do everything, including messaging, project tracking, and CRM, and Podio has broad flexibility and customization, and includes a messaging component. Both Bitrix24 and Podio are great tools for running an organization, but they aren’t as well suited to a network, and they can intimidating for new users to learn. Basecamp is stuck in the middle, without enough features or flexibility to match Bitrix24 or Podio, and not as simple to learn and use as Asana and Trello. If you’re looking for an all-in-one solution, check out Bitrix24 (it’s completely free to use, whereas Podio can get pricey with lots of users). However, if you’re looking for a tool that excels at task and project management, try Asana for more complex projects, and Trello for more simple projects and to-do lists. Acuity, once set-up and customized to your liking, makes scheduling a breeze. It allows others to book a meeting based on your calendar availability and the meeting-type and length you offer, and it even offers an integrated payment system. Acuity syncs well with most calendar clients, including Google, Outlook, Office 365, and iCloud, and can be used for groups of up to 36 without breaking the bank. Acuity is $10/month for an individual, $19/month for 6 calendars and $34/month for 36 calendars. Calendly doesn’t have as much customization as Acuity, but it is a bit more simple to setup and use. It also integrates well with most calendar clients, and is $8/user/month. YouCanBook.me provides a similar service to both Calendly and Acuity, but with less flexibility and a more complex design. Doodle is optimal for coordinating the calendars of lots of people who don’t use the same email client. However it won’t integrate with your calendar system, so using Doodle for large groups can be tedious. Boomerang is a great tool for those who use Gmail and Google Calendar. However, it unfortunately doesn’t work with anything else. Boomerang makes it quick and easy to offer available times, and to create group scheduling polls and decide on the optimal meeting time within your email. Two social network analysis tools stand out above the rest. Kumu has better design and group interactivity, while Gephi has powerful analytical tools. However, Kumu is constantly adding new features, and it wins out due to its flexibility and its cloud-based format, allowing you to easily share your network map with others and embed the network map into an existing website. Gephi, on the other hand, is desktop-based only, so it can’t be used interactively with groups beyond screen-sharing and exporting images. The following tools will round out your personal software stack — each is fairly simple to learn, and you’ll be amazed at how useful you find them. 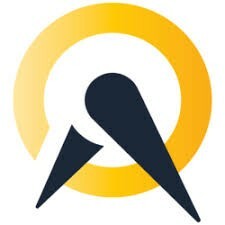 Alfred — a lightning-fast search function for your computer (much better than Spotlight). 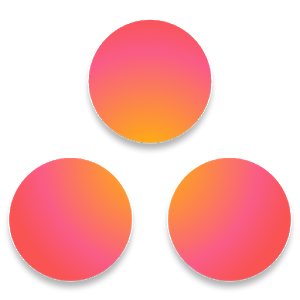 Highly — a great tool for highlighting online articles, and sharing your highlights with others. IPVanish — a quality Virtual Private Network for securely browsing the web while on an insecure network. Spectacle — for quickly arranging windows on your screen, in order to view two (or four) windows at once. The Great Suspender — a Chrome extension that will ease your computer’s memory-load and reduce the amount of times you have to wait for the spinning wheel of death. Toggl — a simple time-tracking tool. We used the following screening criteria to score the software applications we tested, with extra weight given to the software’s overall effectiveness. Overall Effectiveness: Does this software excel at its core competency? Ease of Use: Is this software simple to learn and use? Group Size Flexibility: Does this software work well with larger groups? Cost: Is this software prohibitively expensive? Mobile Integration: Does this software have a quality mobile version, without too many notifications? Email Integration: Does this software integrate effectively with e-mail (as needed), without overwhelming your inbox? We are not getting paid by any of these software tools, and do not make any referral fees by recommending them. We did not include Microsoft 365 products in this test, such as Office 365, Yammer, SharePoint, or Project. Do you disagree with any of our suggestions? Did we miss something? If so, let us know what you think! 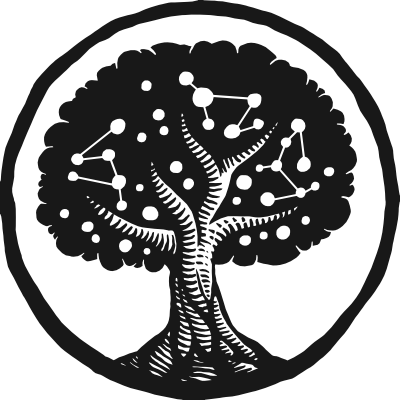 Converge (converge.net) is a team of strategists and designers committed to social and environmental impact. We help build collaborations and networks taking action on issues as diverse as economic mobility, environmental conservation, human rights, and healthcare reform.